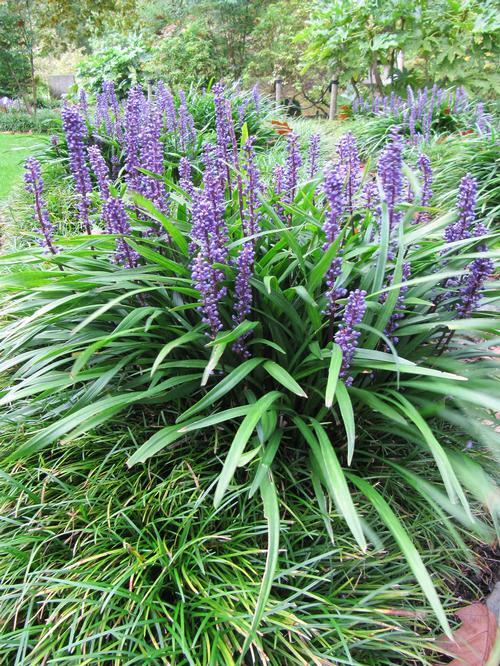 Forms shorter tufted clumps with grassy evergreen foliage, dark violet blue flower spikes resembling hyacinths bloom late summer through fall. Low growing tufts well-suited for use as a ground cover or in mass plantings. Very undemanding grass that tolerates a wide range of conditions.